Modellers Hobby Craft Kit Plastic Parallel Slide Clamp 75mm x 40mm Small . Modellers Hobby / Craft Kit Plastic Parallel Slide Clamp, 75mm x 40mm (Small). 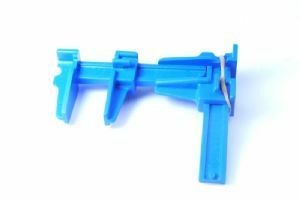 Plastic parallel Slide Clamp 75mm x 40mm. Total length: 75mm total usable length for clamping 50mm. Total depth of usable jaws: 25mm total length of jaws 40mm. We have these clamps available in quantities of 1, 5 and 10, we know you may have lots of edges to hold. We also have larger ones listed too.